Experience new levels of refinement in the all-new BMW X5 at Winger BMW. Its imposing presence, accentuated by the bold new kidney grille, alludes to the substantial power concealed beneath the bonnet. The application of intelligent technology ensures that power delivers extraordinary capability. 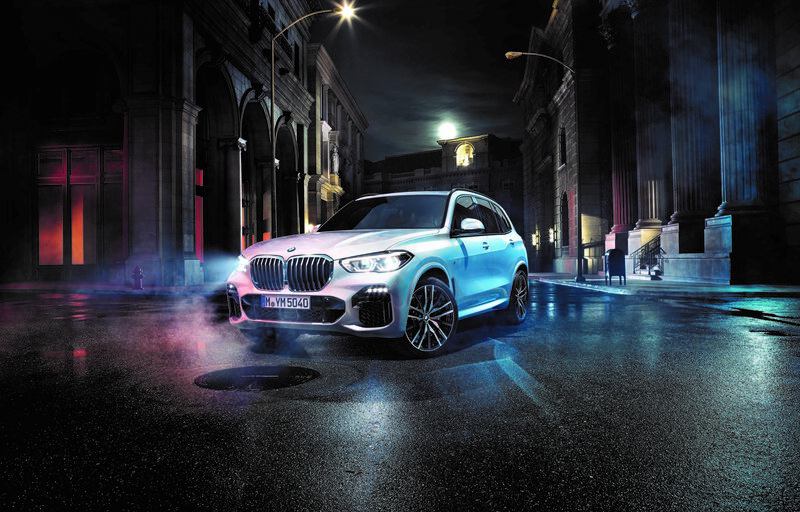 The BMW X5 has the latest generation of BMW connectivity technologies. Intelligent digital services and driver assistance systems create a seamless connection with the outside world and offer you maximum comfort and the greatest possible safety thanks to intuitive operation. In a BMW first, the xOffroad package provides a choice of driving modes for adverse conditions: xSand, xGravel, xSnow, and xRock. Whilst inside, dual 12.3” high-definition screens provide unparalleled control and connectivity. And, with next-level luxury emanating from every detail, driving the all-new X5 is pure pleasure.